Grayson Tyler's convinced himself that all he'll ever need again is the blue sky, a thousand acres of pasture, and the crashing waves of the ocean. Until one day, Lori Sullivan barges into his life and promptly blows his emotionless and solitary world to shreds, driving him crazy as only a woman nicknamed "Naughty" can. But will Lori be able to convince him that it's safe to love her...and that forever isn't actually out of reach? Lori and Grayson were perfect for each other HOT HOT. Grab a blanket a glass of wine and enjoy. Bella Andre has successfully wrote a best seller again. This was my favorite Sullivan Family book, Love is always better the second time around. This Sullivan Family is pure fantasy but it inspires you to be your best whatever that maybe it's ok to step out of your comfort zone. We can all try to be the family matriarch that Mary Sullivan is. I can't wait for her Love story. Eva Kaminsky does a wonderful job narrating. The characters pull you in from the first chapter. I enjoyed this book very much. Travis Maddox learned two things from his mother before she died: Love hard. Fight harder. In Walking Disaster, the life of Travis is full of fast women, underground gambling, and violence. Just when he thought he was invincible, Abby Abernathy brings him to his knees. Every story has two sides. 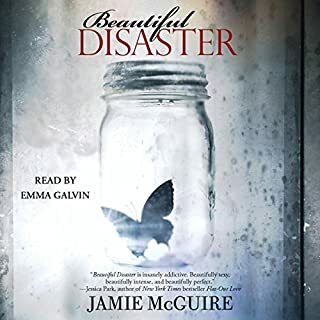 In Jamie McGuire's New York Times best seller Beautiful Disaster, Abby had her say. Now it's time to see the story through Travis's eyes. 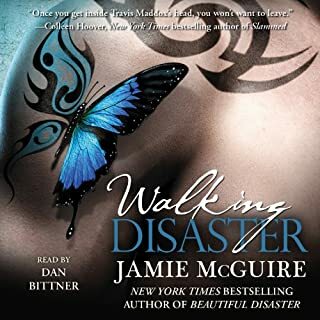 Where does Walking Disaster rank among all the audiobooks you’ve listened to so far? I enjoyed listening to Travis interpretation he might have a thick candy shell but he has a heart of gold. Would you be willing to try another book from Jamie McGuire? Why or why not? Have you listened to any of Dan Bittner’s other performances before? How does this one compare? Great love story where two people with a past rose above it all and got the happy ending they deserved. What made the experience of listening to Maid for the Billionaire the most enjoyable? 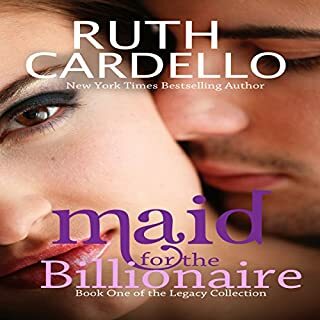 What was one of the most memorable moments of Maid for the Billionaire? Family and paying it forward. It was exciting and electric. Of course you can't put it down it has every distraction you need for a little Love, fantasy family and success in one afternoon . Ruth Cardello has hit a home run with the Legacy Collection. Narrator Kim Bubbs is fantastic perfect choice to share this story.